How did your interest in underwater photography first begin? There weren’t that many TV channels with documentary programmes like now, when I had first begun diving. The only ones we knew were Jacques-Yves Cousteau’s black and white documentary films and TV serials. Similarly, the printed materials were quite limited and in our country, there were almost none. It was as if anything we saw underwater was very new to us. And therefore, the feeling of sharing anything we see underwater with other people, led me to take photographs underwater. 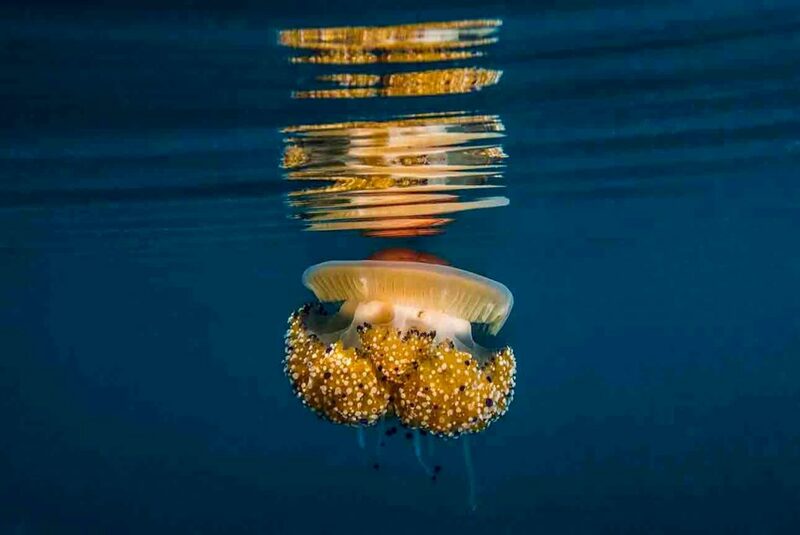 The depths of the seas have always attracted humans’ attention. And humans have been trying to find the answers -for ages- to questions like what’s happening at blue depths, what are there, who are living and etc. Have there been any questions which you’ve been trying to find the answers to? The knowledge people have regarding the depths of the oceans is no more than that of regarding the space. Still searching and still trying to be discovered. Still coming up with new species and still trying to define and classify them. The life at cold and dark depths with a tremendous pressure and without any sunlight, is still very mysterious. Consequently, there are many questions which we are trying to find the answers to where we observe and discover. For instance; octopuses wait for their eggs and when their babies come out from the eggs, the mother octopuses die or the snakefish swimming all through from the BlackSea to the Atlantic Ocean to gather at a specific location of the ocean in order to copulate. There are so many like these which force our thinkin g limits and which I’m still searching for the answers to! Each photography branch has its own unique difficulties. The photoes can be taken during a sports event, in a strudio, on a mountain, in a safari and wherever you may think of. And each of these has its own technique, equipment and difficulty. The limits of diving opportinities is what determines the difficulty of underwater photography. An underwater photographer can improve himself and sustain his photography skills as long and as much as he can dive. If you obtain a camera now, you can just step out of your door and start taking shots and improve yourself. But if you are an underwater photographer, you have to search for diving oppoortunities away from your home and work in order to take underwater shots and use and try the equipments. This is the main difficulty of underwater photography. Does it require any personal or physical specilities to be able to be a good diver? Despite the general opinion, it doesn’t require any high level specialities to be a diver. I can even say that anyone who meets the minimum requirements to be able to ride a bike, has no obstacles to be a diver. But it is necessary to have a doctor control in the beginning. Today, underwater medical science is at quite high levels and capabilities. My advice for new beginners would definitely be seeing an underwater doctor before starting. What kind of preparations do you do before a dive? The preparations before a dive starts with choosing the area to dive. This can either be a place withinthe country or abroad. Getting to know the characteristics of the area and the mostly seen species, will help both to obtain diving security and also to gain success in photography. You are an underwater photographer. Have you ever taken diving lessons for this? Or are you diving with the accompany of a diving supervisor? Anyone who has not taken diving lessons, cannnot do scuba diving using tubes, regulators and other equipments. That’s why I took diving lessons right at the beginning. Later on, I improved myself and became a diving trainer myself and led my diving life as an expert. 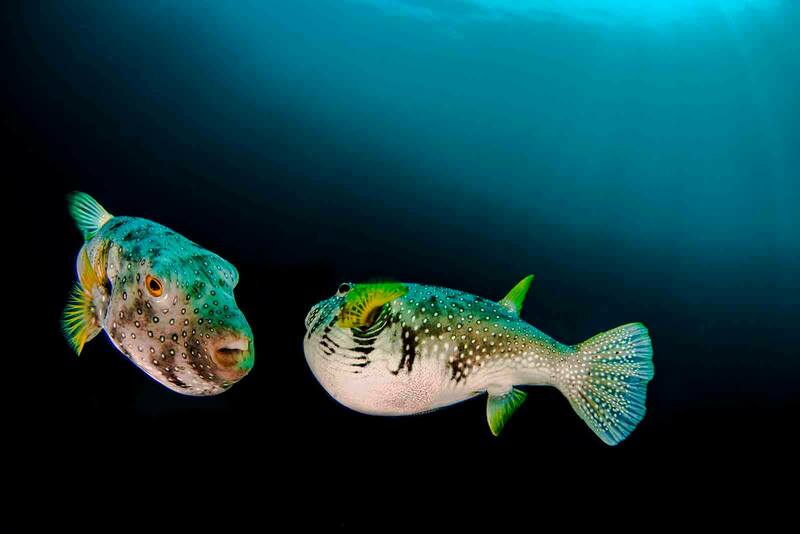 Underwater photographers –either a diving trainer or not- are diving experts themselves. However, any diver is obliged to perform a dive with a companion because this is the main rule of diving. What kind of dangers do you experience underwater? Underwater is not the natural environment for humans. We can get adapted to this environment with various complimentary materials. In fact, the diving lessons are exactly to gain adaptation to this environment and learn the usage of materials. 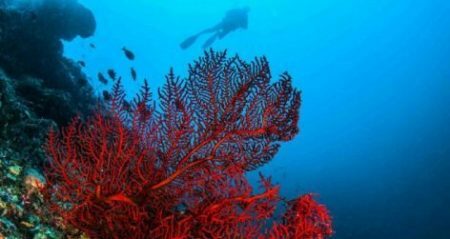 That’s why you can lead your diving life –of course ready for dangers- but with sufficient training and fully obeying the rules, and so never facing any dangers. Although it seems like a dangerous acitivity, diving has a very little possibility of accidents. It is especially much less dangerous compared to driving a car or riding a motorbike in traffic. On behalf of myself, I can sat thay I’m scuba diving since 1977 and have not lived any danger since then. Where have you photographed the underwater up tp now, in Turkey and abroad? 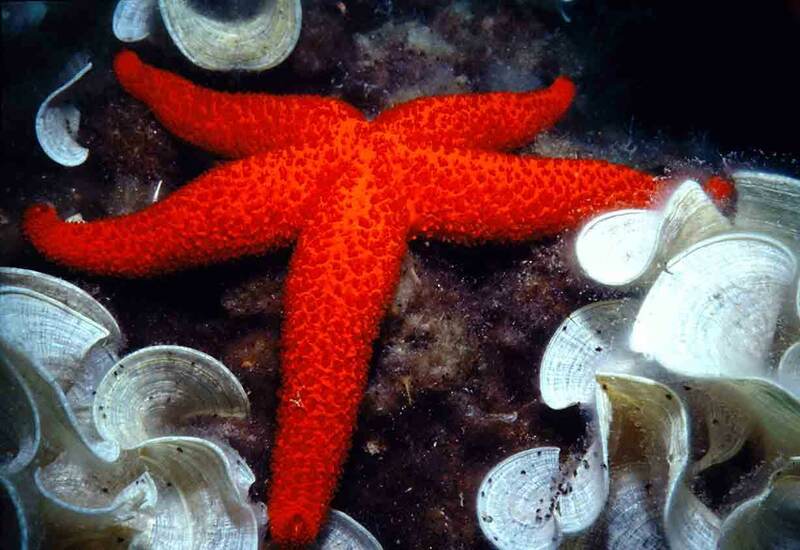 The Black Sea region is not that suitable for diving regarding its coastal structure and sea conditions. That’s why I dived much less there. On the other hand, I dived almost at every spot throughout Turkish coastal lines. Besides Turkey, I dived at Northern Cyprus, Malta and Italy in Mediterranean region. 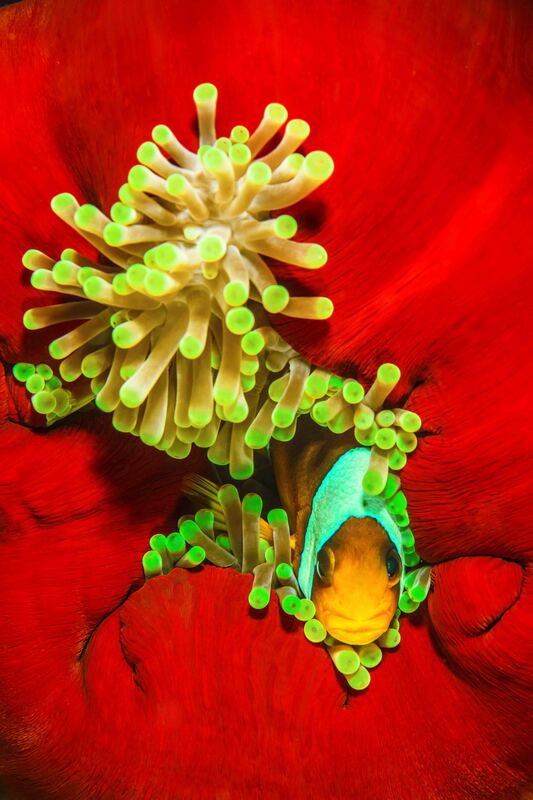 However, underwater photographers look for coral reefs and special spots at the oceans. Therefore I didn’t leave any location un-dived for the last 25 years. Amongst these; there is Egypt, Sudan, Maldives, Mozambic, South Africa, Philippines, Indonesia, Malasia, Palau, Micronesia, Costa Rica and Galapagos are the most leading. But still, the most interesting spots where I have chosen to dive and take photoes are the Svalbard Islands of Norway at North Pole and Antarctica. Especially diving in Antarctica made me feel like walking around on another planet. Which are the coasts you have photographed with the most pleasure? The target for an underwater photographer is a place where there are great variety of underwater species and colorful depth structure. An underwater photographer may just dive into coral reefs. And places with the most coral reefs are Indonesia, Malasia, Maldives and Philippines. It definitely requires time and patience to capture beautiful shots, and it is important to keep the body balance amd to catch the object with a theme. What sort of difficulties do you face while capturing shots underwater? Sea is dynamically structured. It never lacks streams and waves. But conditions may change a quite deal according to the seasons. And in fact even daily conditional changes may lead to different aspects of the sea. A crystal clear water can be blurred because of daily conditions. A sunny day may change to a cloudy and dark weather. Or the species you want to see may not show themselves. All factors similar to these may cuae difficulties for a photographer. But this is simply the nature of this job and these are not unexpected situations for an experienced underwater photographer. However, a photographer will still try to capture shots under any kind of circumstances and may sometimes obtain suprising results. This is the most important reason why we keep on going with the same excitement for so many years. Last but not the least; you have brought into action the ‘Underwater Magazine’ in order to spread underwater photography and to help forming a more conscious community. There have been 122 published volumes up to know and starting with the 111th volumes, you’ve been on air with www.sualtidunyasi.com.tr. Could you please tell us a little about your magazine? I started publishing the ‘Underwater Magazine’ in January 1996. Especially during the times when we still didn’t have internet yet, this magazine was the sound of the underwater communities, it introduced many people with the underwater and helped the photographers to present their photographs with the outer world. It also helped our seas and the species to be known. However, with the birth and development of internet, printed publishing happened to become clumsy and online publishing began to replace it. Consequently, the ‘Underwater Magazine’ started to be published online. And in fact, the effective social media platforms such as Facebook have even been more popular than online publishing.